Westport resident Lisa Hartmann, a new member of the Republican Town Committee. Editor’s note: This is the second installment in our series on new Republican Town Committee members. WESTPORT — Lisa Hartmann wants to return to when things felt good in the state, so this year she became a member of the Republican Town Committee. Connecticut born and bred, Hartmann grew up in Easton and attended Greens Farms Academy before moving to Westport as a young mom to raise her three children, now all in their 20s, with her husband on Saugatuck Island. Hartmann registered as a Republican 20 years ago when she moved to town, but had never engaged in party politics beyond her party registration status. But this year, a friend of Hartmann’s on the RTC told her the group needed help filling seats. The RTC, a 36-member elected body, serves as the nerve center for town Republican politics and represents Westport Republicans at the state-party level. 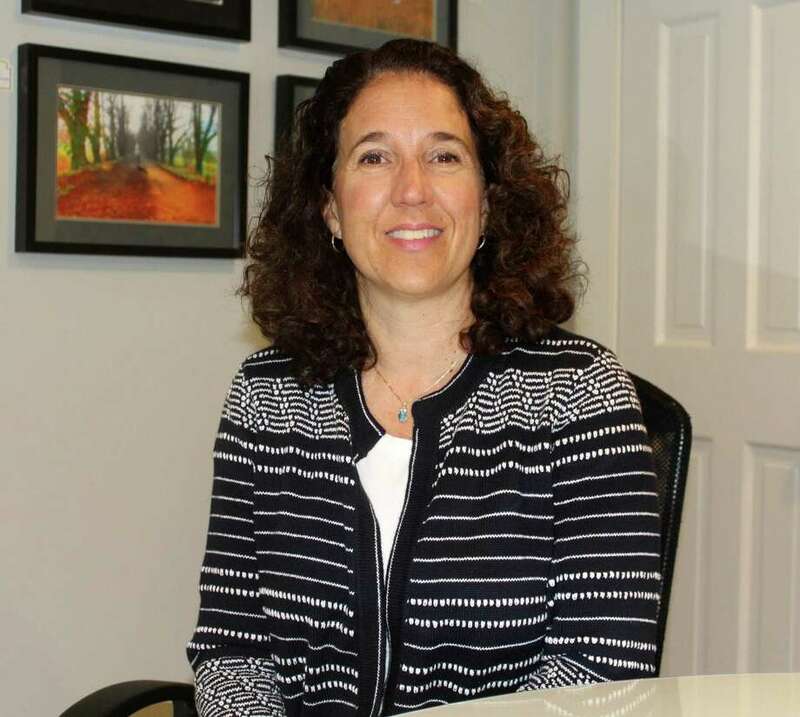 Hartmann said yes to the call to join the RTC because, as a real-estate saleswoman in the downtown Westport office of William Pitt and Sotheby’s International Realty, she has seen how Connecticut’s financial woes have decreased the state’s desirability. As a member of the RTC, Hartmann said she will advocate for responsible financial management that she says is absent at both the state and individual levels. “You can’t tell people to make their own financial health strong when you can’t set an example,” Hartmann said. Still, Hartmann said not all problems come from the state — some began when individuals relinquished responsibility over their personal finances. “If you’re more responsible about your financial health, it will work out as you go down the line, but everybody has to take responsibility. It’s not someone else’s responsibility. You’ve got to start with you,” Hartmann said. Hartmann’s political philosophy is not of the Libertarian kind, however. She thinks the state needs to invest effectively in transportation infrastructure. Thirty years ago, Boston’s economy was as terrible as Connecticut’s is now, but the city fixed its infrastructure and turned it into a thriving metropolis, an example which should set a model for Connecticut, Hartmann said. Nonetheless, Hartmann believes government can’t do everything. She believes state politicians did a great injustice in agreeing to state employee pension plans that compromised too much and harmed taxpayers. Although these plans were promised, Hartmann said they should be rejiggered because they go against her utilitarian belief that the state will only recover if it does what is best for the greatest number of people in the state. “I don’t know what my voice is yet, because it’s developing. I’m not a politics person. I like to see the greatest good for the greatest number of people, but not at a detriment to any one group of people,” she said.